Industrial psychology is a branch of psychology that applies theories of psychology to industries or organizations. There are many job opportunities available within this branch of psychology for graduates with a bachelor’s, master’s, or Ph.D. in I/O psychology. Below are 5 potential careers within the field. See our ranking of the 5 Best Ph.D. Industrial and Organizational Psychology Online Programs. A workforce manager facilitates the planning process by analyzing business data to forecast volume and optimal staffing needs. An effective workforce manager builds relationships with both front-line and operational managers to proactively gain insight into departmental needs. With this information, a workforce manager will make action plan recommendations to reach organizational goals and manage costs. Qualified candidates must have a bachelor’s degree, written and verbal communication skills, analytical and problem-solving skills, and organizational skills. The average reported salary is $18 per hour, according to Indeed. An assessment analyst designs, develops and executes evaluations of job training, company initiatives, and individual projects. An assessment analyst ensures strategic communication between all stakeholders, collecting relevant data and developing reports and briefings. Qualified candidates must have a bachelor’s or master’s degree. An assessment analyst must be familiar with statistical analysis tools and techniques, have analytical and problem-solving skills, and possess written and verbal communication skills. The average reported salary is $57,676 per year. A training specialist instills job-specific skills and corporate values into new and current employees via classroom or online training sessions and is expected to identify the appropriate training methodologies based on audience learning styles. Training specialists regularly assess training methods and materials to ensure the effectiveness of the training program and are often responsible training material production, scheduling, participant tracking, and facilities coordination. Qualified candidates must have a bachelor’s or master’s degree, written and verbal communication skills, leadership abilities, friendly attitude, strong listening skills, attention to detail, and be able to adapt to change. The average reported salary is $53,522 per year. Board certified behavioral analysts are recognized as valuable assets within corporate organizations. Industries often hire behavioral analysts to uncover the best ways to enhance employee morale to ensure retention and productivity. In the corporate environment, a behavioral analyst will often be required to observe employee performance and analyze employee metrics and psychological assessment data. The findings are generally presented in technical reports that will influence job training, corporate culture, and even environmental design. Qualified candidates must have a master’s degree, while most employers prefer board certification. A behavioral analyst must have a friendly attitude, strong listening skill, analytical and problem-solving skills, and professional written and verbal communication skills. The average reported salary is $68,099 per year. The selection systems manager evaluates the four stages of the hiring process: applicant tracking, testing and assessment, verification, and onboarding. This evaluation allows the selection systems manager to design, develop, implement, and revise the selection process to help a company meet its goals. Qualified candidates must have a master’s degree, analytical and problem-solving skills, and professional written and verbal communication skills. The average reported salary is $67,149 per year. 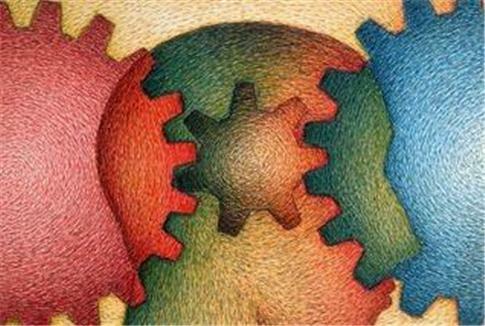 Industrial-organizational psychology is a growing field. This article lists only five examples of the evolving tech jobs available. Along with strong analytical and interpersonal skills, a bachelor’s degree, master’s degree, or board certification are often requirements for positions within industrial psychology.